Rolls - White matte stock, perforated between each label. Great for typewriters or handwritten. 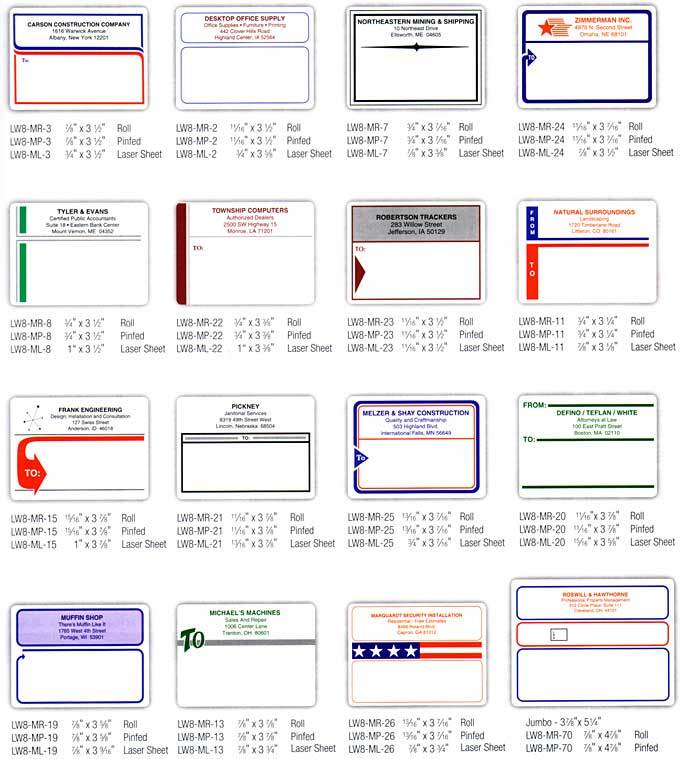 Pinfed-Fanfolded Mailing Labels - Perforated between each label, for computer printers. To request a quote on a custom shipping label click here. Quantity discounts available.